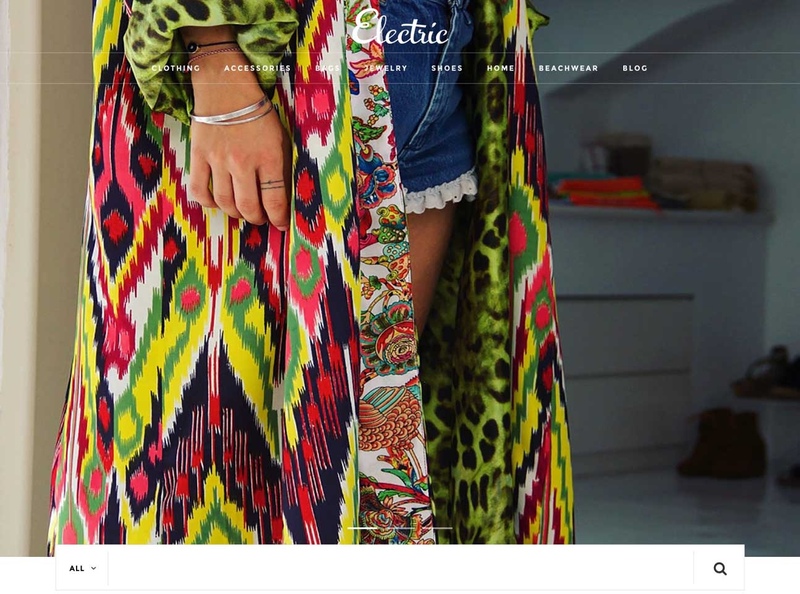 Electric is a clothing and accessories boutique based in Paros island, Greece with a vision to provide customers with high quality designs, that will have a special place in a woman’s wardrobe. ​To achieve this they handpick each piece from all corners of the world, always with an eye to the feeling the fabric leaves on the body. From Aeolia – house brand – to the more established ones, their collections give off freshness and elegance. 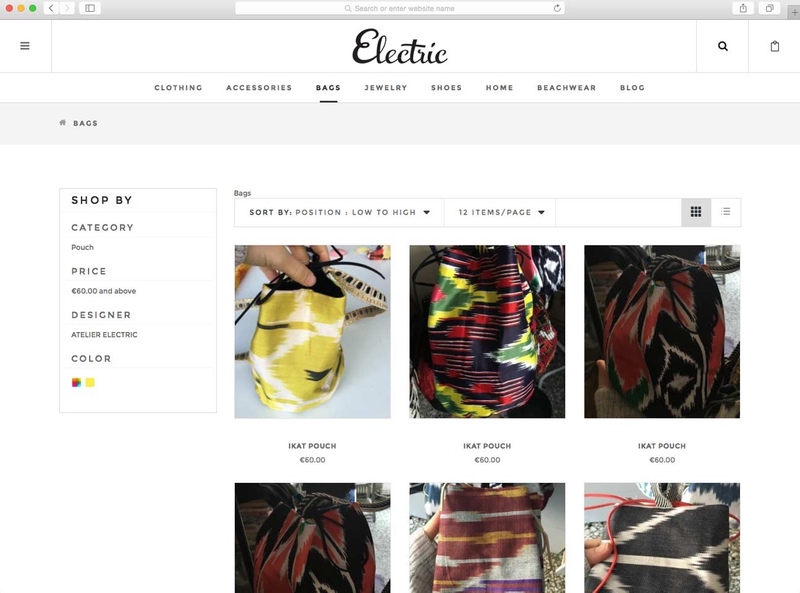 Recently we had the chance to work with Elektra Gouzeli, in the manufacture of the Electric Paros eShop, the online store of the clothing and accessories boutique that maintains in Naoussa, Paros. Initially, after analyzing our customer’s needs and requirements, we chose a theme that fits the aesthetics and philosophy of Electric and simultaneously adequately presents the entire range of available products. Then we proceeded to the development of the eShop using the Magento e-commerce platform. ​The eShop integrates full functionality and ensures that guests make their purchases easy and secure, featuring functions such as guest checkout, multiple payment methods (credit card, paypal), automatic calculation of shipping costs and security certificate (SSL). 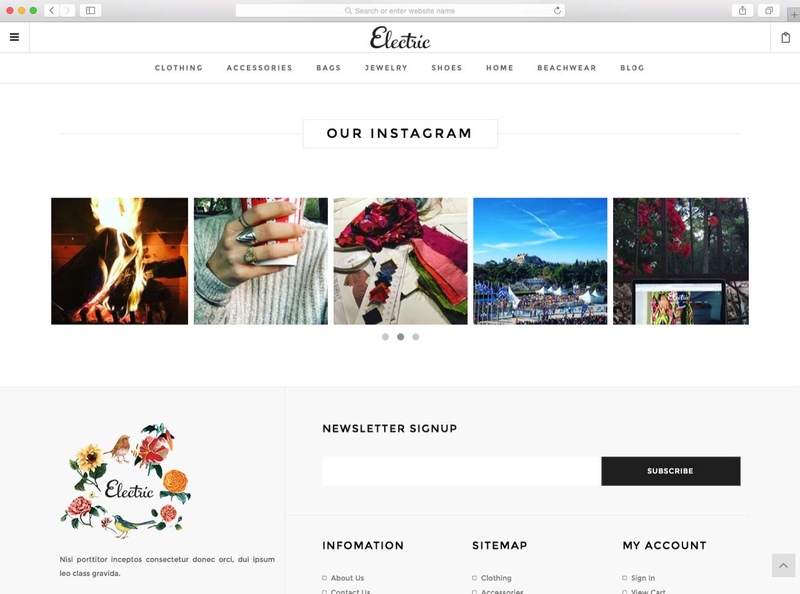 It also includes blog where the latest boutiques news are published and an instagram feed for displaying the photos of Electric Paros instagram account, on the homepage of eShop.